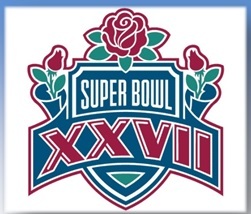 Man I should have been at Super Bowl XXVII in Pasadena. Got robbed in a sales contest at the dealership I worked in…had the tickets and airfare right there and.. Phukk Aaron…yet I digress. 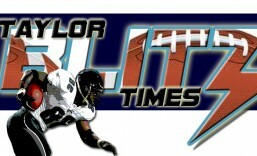 The Greatest comeback in history a few weeks before in the wildcard..41-38 over Houston. Then bested Pittsburgh 24-3 in Bill Cowher’s first playoff game as Steelers coach. Then beat the arch rival Dolphins, in Miami, for the AFC Championship game 29-10! I can remember many Bills fans torn about who should we start at quarterback: Frank Reich, who orchestrated those first 2 playoff wins or Jim Kelly! I was torn myself thinking maybe go with Reich to shake things up a bit since we lost two Super Bowls prior and Dallas would have limited film to study..hmmmm what if? Yet one of the strongest Bills team ever and I know I’m not alone in celebrating how euphoric it was winning that greatest comeback in history 41-38 over Houston. Celebrating that as a fan was like we had won a SuperBowl. Marv Levy was quoted in ’92 “Where it feels surreal and is this really happening? Most of the time when you’re making history you don’t realize it at the time. In this instance we did.” I must have watched that game 10 times that week. That was the most uplifting game ever..work was great for the next few weeks, my girlfriend kissed better..etc…I don’t think you could find a Bills fan that didn’t feel that way also. So in 6 quarters the Oilers had outscored the Bills 62-6 before the comeback if you included the previous week.The Bills were playing with house money the rest of that postseason. The 52-17 loss to the Cowboys was painful but the euphoric high all Bills had been on for the previous month tempered the pain. No one shared what we had felt because no other team had ever come from that far down when it looked like the season was over. It left all Bills fans optimistic going into 1993. That wildcard win was a gift from the football gods. This entry was posted in Ring of Champions and tagged 1992 Buffalo Bills, AFC Championship ring, Bruce Smith, Buffalo Bills, Cornelius Bennett, Darryl Talley, Frank Reich, greatest comeback in NFL history, Jim Kelly, Marv Levy, Super Bowl, Super Bowl XXVII, Thurman Thomas. Bookmark the permalink.